You will be the envy of your friends with this beautiful home. The perfect combination of vintage features and modern updates. Are you looking for open living space? This home has both a welcoming living room and a large and cozy family room. 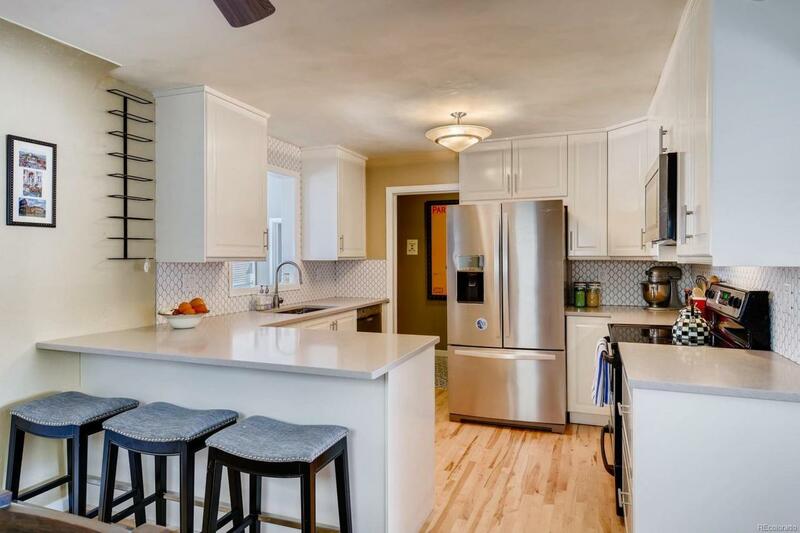 New open and remodelled kitchen with quartz countertops, stainless appliances breakfast bar & perfect tile floor. The charm includes: white picket fence, glass door knobs and perfectly placed archways. There is an outside basement of approx 400+ square feet with 7foot ceilings. Currently used for storage.... could you make it more living space??? Close to shops and restaurants You will enjoy your days sitting on the front patio or in the beautiful backyard.